Festival goers can enjoy art, live music, food and more. Saturday October 20, 9-6 p.m., Sunday October 21, 10-5 p.m. 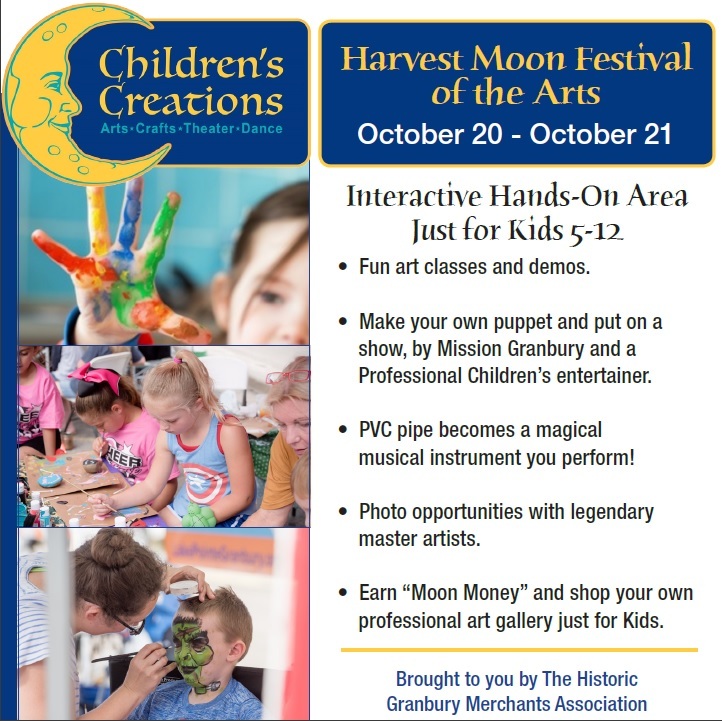 The Harvest Moon Festival of the Arts in Granbury, Texas promises to be a weekend full of artful adventure for the whole family. During the event, you can purchase original art on display from more than 80 artists from around the region and country with many coming from Santa Fe. Meeting the artists, and learning more about what inspires them to create is one of the hallmarks of this annual tradition that keeps visitors coming back each year. The Granbury Arts Alliance and the Historic Granbury Merchants Association support this 40th year-old popular arts festival. 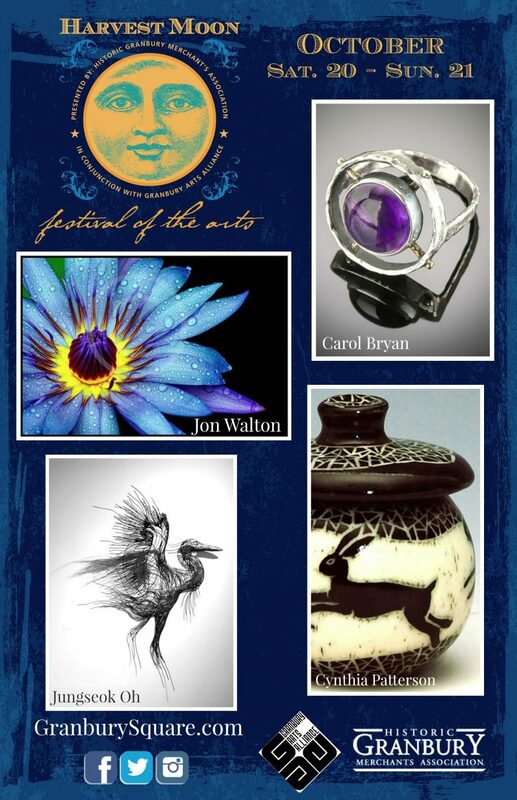 The fun will begin on Saturday with Gallery Booths on the Historic Square including fine art, contemporary works, sculpture, glass work, and hand crafted jewelry, among others. There will be plenty of hands-on fun for children, as well. Throughout the weekend, you can enjoy the sounds of local entertainment, and feast on food from food booths throughout the Square. Enjoy the many shops, boutiques, art galleries, and restaurants in close proximity to the festival. 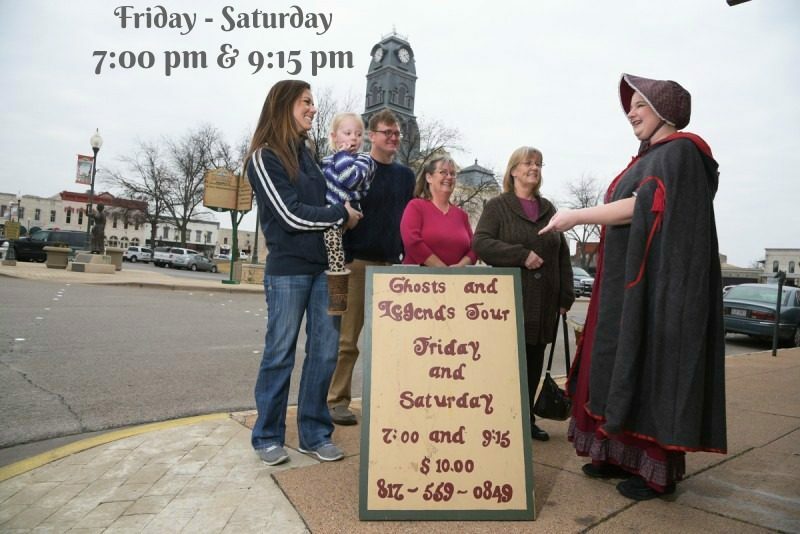 The Granbury Opera House and Granbury Live offer live performances on both festival days. Do not miss the new and expanded Childrens Creations Area. The sun is shining down on Harvest Moon. Great coverage today on Good Morning Texas and great job to Cynthia James the festival director. 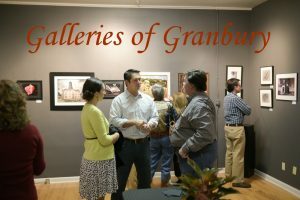 Thank you Visit Granbury for making this happen!